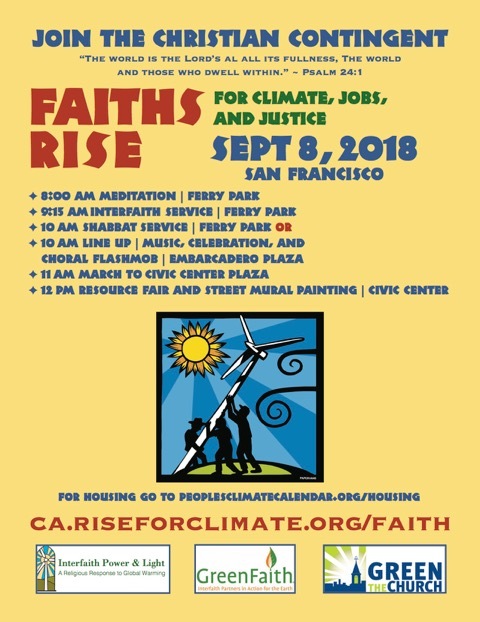 People from all across the country are descending on San Francisco to RISE for climate, jobs, and justice on September 8, 2018–and California faith communities are at the forefront of this mobilization. We would be honored to have you and your faith community join us. Will you march with us? Register your group here. 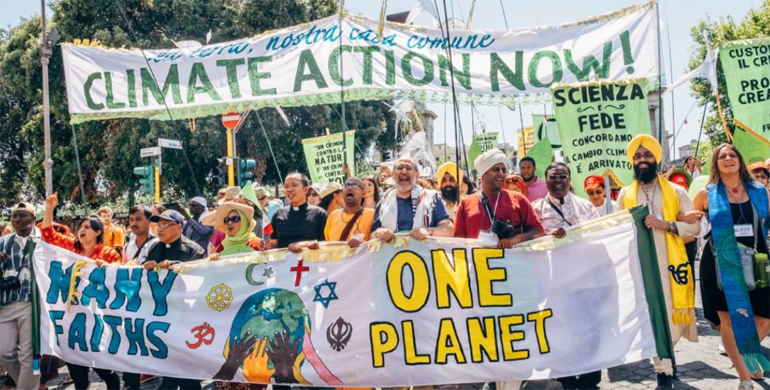 Then we will follow up with details for how your group can march with the wider interfaith community, and receive details on participating in the interfaith services, choral flashmob, and art making. Now is our time to rise in prayer and in action. Only together will we win. For more info, please download the following flyer. Join and share our Facebook Group for updates and inspiration in the lead up to September 8.
with any questions. Also, feel free to give me a call/text at 815-985-8325.